From elementary school students need a great to be able to count orally. Parents have to wonder how to explain that, for example, 8 is 5 and 3? 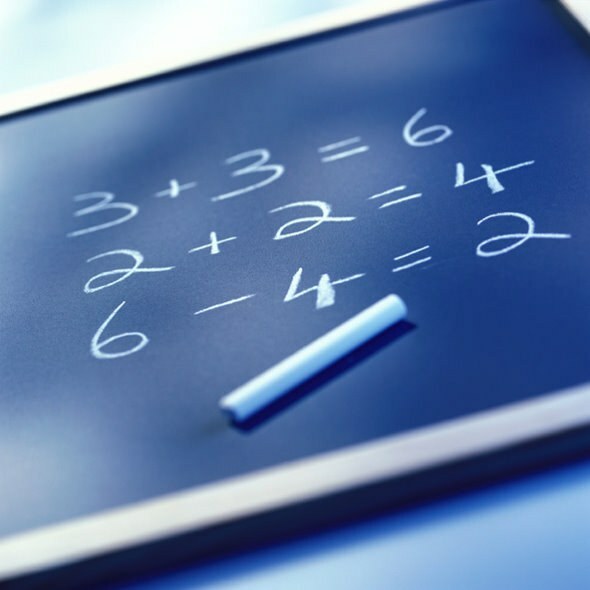 For the successful completion of a course of mathematics it is necessary to try still to school to learn with the child part numbers. - improvised teaching AIDS - number the houses or cards. Try to explain to a child the difference between the numbersmi and the number. The number denotes the number on the letter and numbers are a designation of the number of items. For example, if you have seventeen apples, explain that 17 is the number, quantity, and its compositionrepresent the numbers 1 and 7. Take ten apples, you will have seven. Explain to your child that the number of apples was seven and it expresses the number 7. Seven can be decomposed into other numbers — 1, 2, 3 and so on. Show the children the part number in the illustrative examples. Take, for example, three candies. Ask the child to count how many you have candy. Now divide the candy or two put on the table, and one hold in your hands. Ask your child how they are now. The answer is the same. Explain what two candies with one and Vice versa, one two, partgive three. Now put one candy on the second, and a third hold in your hands. Show your child one candy, here's another one and another. So three is repeated three times. Secure knowledge on the counting sticks. Draw with the child on paper a numerical houses. These houses high-rise buildings, on each floor there are two apartments. Write in the triangle-the roof is a number from 2 to 18. Explain that on the same floor lives as tenants, how much is host number. Use counting sticks, cubes or other materials that help the child to "relocate" residents. For example, suppose a host is the number 6. Select 6 of the sticks. On the ground floor in one of the apartments lives let one person move the stick. Therefore, in another apartment five residents. So, six is five and one. Thus, populating numeric house, get the pairs 1 and 5, 2 and 4, 3 and 3, 4, and 2, 5 and 1 total in numeric house five floors. For greater efficiency hang such posters houses in the apartment and periodically ask the child. Involve child in the decision of ordinary household tasks. For example, if your family is three people, invite a child task of the following type. Put on the table one plate. Ask the child a question, how many plates you need to put if all in the family three people. He must answer you that you need to put two more plates. Consequently, one and two plates compositionrepresent three plates. Make cards with the composition of theAMI of different numbers and review them with your child. Do not engage with the child for too long. Optimal — time classes for 10 to 15 minutes. Otherwise the kid will just get tired and benefits of such a study will be. The problem of memorizing the composition of the numbers from 1 to 18 there is a lot of first graders. First and foremost, this is due to the fact that you need to memorize abstract information. What does it mean for a child, the phrase "7 is 3 and 4"? Absolutely nothing. So all the work on the memorization and automation knowledge of part numbers should be on the illustrative example and to be understood by the child. 1. The paper and cardboard. Form a child the notion that number is the designation of the number of items and the number needed to refer to the number on the letter. Use in the classroom moments of the game. On sheets of colored cardboard, markers to draw with your child a numeric houses. Numeric house is a multi-storey building, each floor is two apartments. In the triangle, denoting the roof, write a number from 2 to 18. Explain to your child that on the same floor can live as tenants, how much is the number - the owner of the house. With your child using counting sticks, blocks and other material for the account, "Russell residents in the apartments." For example, the owner of the house - the number 5. Take 5 sticks - are tenants. On the ground floor in one apartment lives 1 people, 1 move wand. Then in another house lives 4 people. So 5 is 1 Yes 4. "Settling" of the house, get the pairs 1 and 4, 2 and 3, 3 and 2, 4 and 1. Thus, in numeric house, indicating the composition of the number 5, will be 4 floors. Hang a numerical houses in the apartment so that the child saw them as often as possible. 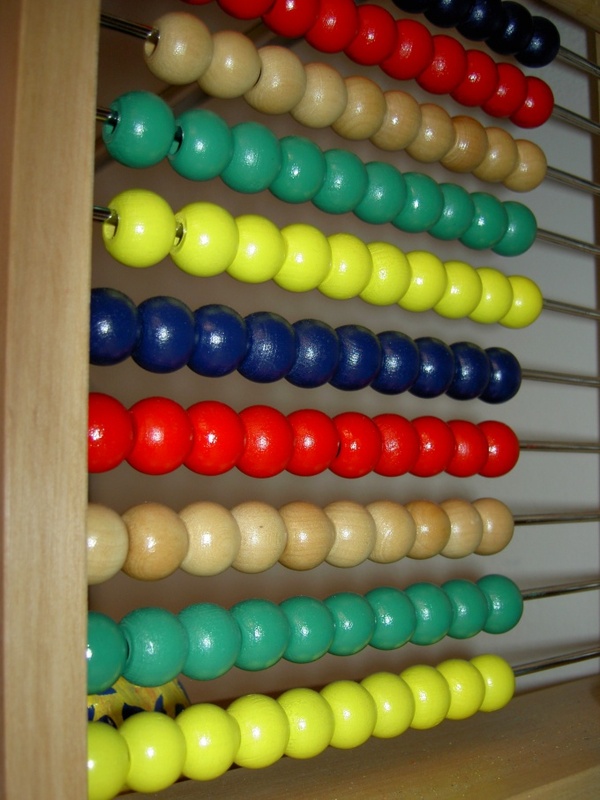 To memorize part numbers, close in numeric house right or left column of numbers. The kid calls the neighbor of a number. For example, 9 is 3 ? 6 - must answer the child. From time to time turn one of the houses and ask the child to draw a house, remembering the part number, on a piece of paper from memory. Engage children in solving simple household problems. - We are a family of 5 people. I have already put on the table, 3 plates. How many more plates you need to put? - Right, 2. 5 is a 3 and even 2. This work is carried out with all the numbers. Part numbers are included in single digits. So, 18 is 9, and 9. Numeric house only one floor. You can make cards with examples of addition, to illustrate the composition of numbers (9=4+5, 17=9+8 etc.). 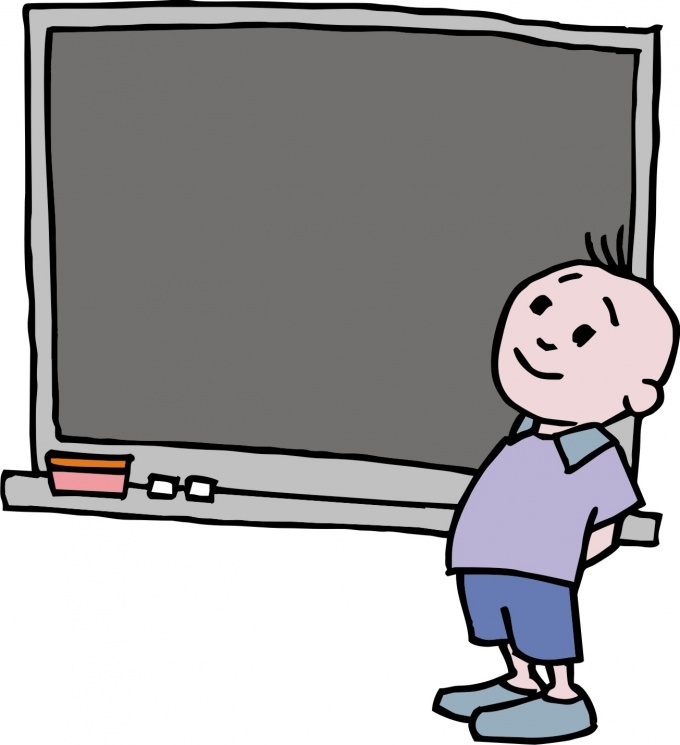 In preparation for school, special attention is paid to training account. It is quite a complex process requires the child's many skills – ability to quickly navigate, to abstract, to decompose numbers into smaller. To learn this best from an early age. Give a child the digital cubes in the first year of life help him to build blocks in a row or build of them a turret, calling the numbers. Then share it with the quantitative concept of each number. The Apple one is denoted by 1, two apples are denoted by the number 2, etc. Loudly and clearly pronounce the names of numbers. Use for classroom presentation material. Young children are hard to ignore, so take their explanations of candies, cookies, fruit, toys, pencils, etc. to Teach the child to count and add up to ten is easy. The child is always carrying two hands with 10 fingers that will help to quickly calculate the. 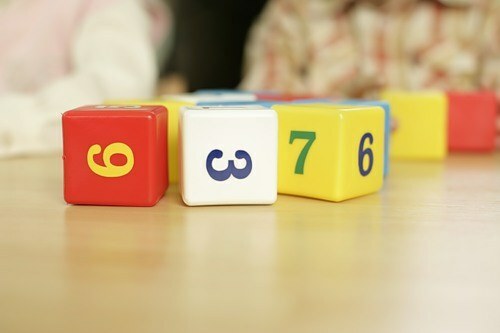 To quickly learn the score on the fingers, the child should be trained to quickly show the desired number of fingers. Start with simple numbers – 1 and 2, 5 and 10, 10 and 9. Help your child to cope with bad obeying fingers. Take your time, let the child thinks slowly. Give a child the part number, that'll make it easier for him. Pick any 6 items, for example, 6 sweets. Decompose them into two parts: 3 and 3 candies. Put one candy in another pile and ask them to count how many pieces of candy (4 and 2). Thus, go through the options for number 6 (1+5, 2+4, 3+3, 4+2, 5+1), stressing that every time we get the number 6. Do not worry if each time the child counts the candy. Be patient. One day he will understand what you are trying to explain. Similarly, remove all numbers from 2 to 10 and later to 20. Do not try to force child classes. Use for explanations of every opportunity: when gives candy to a child, when you cut an Apple into slices, and cake slices. The child is not bored, invent interesting stories where you have to help, for example, brothers-zucchini, split into two groups, and sister-cherries to get couples in their houses or how much left to collect the hedgehog, to have food enough for everyone. Teaching the child addition and subtraction, draw, sculpt with the baby, so he quickly mastered the score. Use the help of special benefits. In almost any bookstore you can find a huge amount of literature on the teaching of mathematics to children of different ages. The guides are designed by teachers and psychologists. Usually they represent simple and interesting job. Do not overload the child with assignments. For the successful development of account 10-15-minute daily sessions will be enough. Note on methodological developments of Glenn Doman and Nikolai Zaitsev. The curriculum requires that a first grader automatic solution examples of addition and subtraction to first one and then the second ten. In order to learn from these examples, must be great to know the part numbers. Younger student it is not easy to remember abstract information. To help him in this task, it is necessary to build the work of remembering the compositionand numbers so that it was clear and understandable to the child. Draw on sheets of paper houses in several floors, each floor has two apartments (the window). On the roof of the house with your child write the number and explain that this number is on the roof — the owner of the house that permits you to settle on one floor, only the number of tenants corresponding to the number of-the owner. For a start, use for "moving" counting sticks or matches — it's more visual than just written numbers. Complete the very floors of the first house, and then put this task in front of the child — he has to try to resettle the residents. Let the child pronounces the necessary amount, arguing like this: "the master of the house is the number 6, if one apartment per floor living 2 tenants, the other has to live 4". Change the number of occupants from floor to floor and repeat with a new combination of numbers. In the house with the owner will be 6 combinations 1 and 5, 2 and 4, 3 and 3. Go from counting sticks or matches to the written numbers. It is more difficult for children, so patiently repeat the exercise. Gradually complicate the task. Cover one column of Windows, and pronounce with child neighbors numbers. So, if in the house with the master on the floor 8 lives 3, his neighbor is 5. Gradually the child himself will be able to call the desired number. Instead of houses draw a flower in the center of which is written some number, and each petal is divided into two parts. The greater the number in the middle of the flower, the more petals it should be — on the number of possible composition. In every part of the petal write the number equal to the number of cores. Invite the child to continue to fill the petals of numbersI. Give child a household example of a simple task type "in the sink stood 6 plates, mom washed 4 of them, how many dishes need washed?" The optimal duration of studies — 10-15 minutes. Longer sessions will bore the baby and benefit from these lessons will not. Remember — in all activities memory requires regular practice, otherwise the child will quickly switch to more interesting things and forget about the material. A loving parent wants their child to grow up not only healthy, but also well-rounded. So they begin to teach him reading and arithmetic, not to delegate this responsibility to the teachers of Junior classes. After all, the sooner the child will learn to read and count, especially prepared for school life he will. But if the teaching of reading special problems does not arise, then the account may cause difficulties for the child. Remember that abstract thinking is not yet available for the baby. Therefore, you should refrain from explanations such as: "Suppose a boy was so many things." Use what the child can see, touch, feel. For example, toy blocks. Put them in front of the baby and explain: "Here is one cube. If his side put another cube, they will be two. Remember: one plus one is always two. And if you add another cube, they will become three." Similarly, teach the kid the rules of subtraction. "Here, look: we have three dice. And if you remove one, then how many of them will remain? Two. But if from these two to clean one more how much then?" Gradually the child will begin to understand how to add and subtract simple numbers. A very good way of learning to count to 10 and your own hands (or rather, fingers). Touch the child's fingers, counting aloud: "One. Two. Three. Four. Five." Then, as if with surprise, stating: "the Fingers on one hand over! But nothing, we have a second hand." And then continue: "Six, seven, eight, nine, ten". Get the child to firmly remember: on one hand five fingers and on both hands ten. And after that, start learning to count, first within the numbers from 1 to 5, using only one arm, then gradually complicate the examples, turning to account within 10. Example: "Squeeze the handle into fists. Now open your three fingers on that hand. Clever! Open three more. What now you have unclenched fingers?" Or: "Look, all your fingers unclenched. Now squeeze first fingers on one hand and then two on the other hand. How not compressed fingers left?" These exercises should be done in the most visual way, prompting the child when necessary to compress the toes, and when to let go. Of course, in any case can not be nervous, angry child if you think he's slow. Then the education account will be perceived by them as tiresome and unpleasant burden. And it is necessary that he was hunting, interest. So don't force training and try to bring in elements of the game.